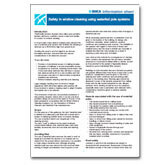 In recent years many window cleaners have adopted the use of waterfed pole systems that facilitate the cleaning of windows up to 60ft/20mtrs high from ground level. Avoiding the need to work at height is an obvious immediate attraction, however there are various considerations to be taken into account. 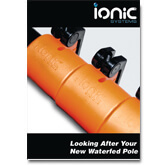 Safety and best practice for using Ionic Water Fed poles. 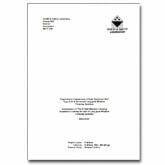 This is a must-read for all Ionic pole users, with important safety guidance to prevent injury.